Fremantle Home Entertainment has announced the upcoming DVD release of 30 Years of SummerSlam, a 3-disc collection celebrating WWE’s second biggest pay-per-view event, and the biggest party of the summer! Across this comprehensive 30-year history of the event, you’ll get to see some of the greatest Superstars to ever step in a WWE ring, and find out how they earned their legendary status. You’ll also get to witness some of WWE’s most talked about matches – including Ultimate Warrior’s surprise IC title win, Bret Hart batting his own brother in-law The British Bulldog in front of 80,000 fans at Wembley, the Icon vs Legend match as the Hulkster and HBK lock up for the first time ever, and the night the “Yes Movement” began as Daniel Bryan challenges John Cena for the WWE Championship! But it’s not just a look at the history of SummerSlam, but at sports-entertainment itself – the changing faces of the Superstars, brand new championships, and ever-evolving action that has made WWE was of the consistently exciting spectacles in pop culture worldwide. For longtime fans it’s a nostalgic blast from the past, and for new fans it’s a look at makes WWE what it is today. 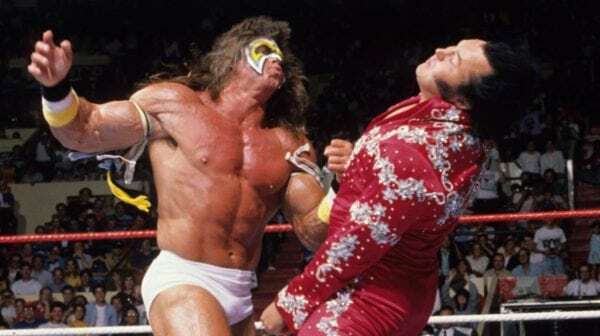 30 Years of SummerSlam is a sizzler – too hot to miss! 30 Years of SummerSlam is set for release on August 27th 2018.